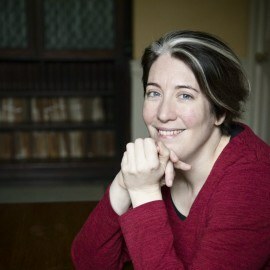 Josephine is Associate Professor of Ancient History at Oxford University, and a Fellow of Worcester College. She has degrees from Oxford and Berkeley, she has taught in America, Italy, and the UK, and she co-directs the Tunisian-British archaeological excavations at Utica (Tunisia). She is a regular contributor to the London Review of Books, as well as to radio and television programmes. Her latest academic book, In Search of the Phoenicians, was published by Princeton University Press in January 2018, and she is now working on a new book called How the World Made the West, the story of the diverse roots of western civilization from the Bronze Age to the Age of Discovery, due to be published by Bloomsbury in 2021.